Most damage to the eye occurs within the first few seconds of injury, therefore it is important to have an accessible first aid container that holds all the basic eye safety equipment. 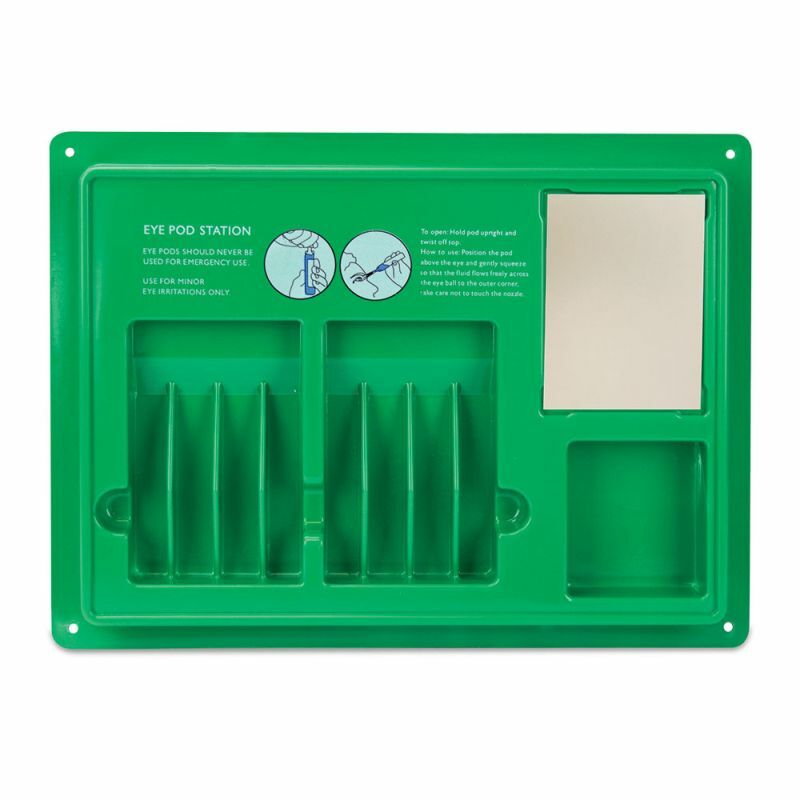 The Eye Pod First Aid Station (Empty Case) is the perfect container to hold products that treat minor irritation. This case has the capacity to hold eight saline eye wash pods and two eye pad dressings for employees to reach for if eye care is needed. Having an empty container like this also give you the opportunity to stock it with other similar items you may see fit for your business. A small mirror as also been integrated on the case so that the victim can use it to handle their own injury if needs be. 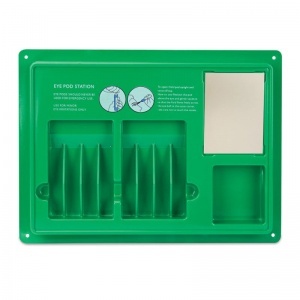 The case has been designed to be wall mounted so that it is easily reachable, with clear instructions printed on the front with guidelines for use. The Eye Pod First Aid Station (Empty Case) is usually dispatched via First Class Royal Mail and delivery should be within 1 to 3 working days.